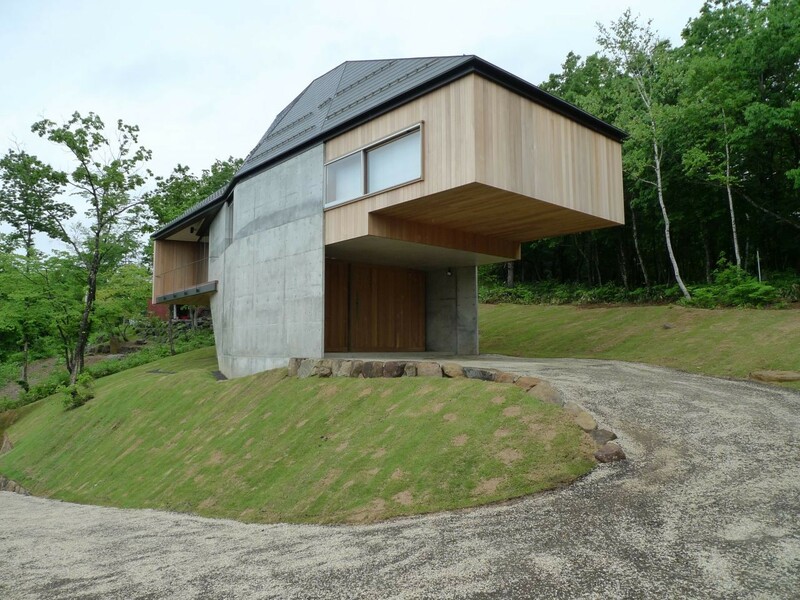 This small villa, located in Hirugano, Gifu Prefecture, Japan, is perfectly suited to its surroundings. Architects Ken Yokogawa Architect and Associates designed the home around the area’s propensity to accumulate high drifts of snow in the winter. 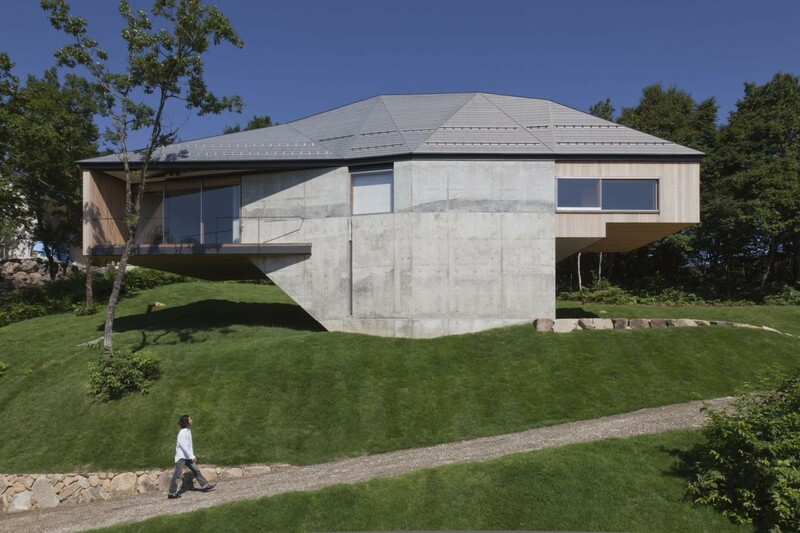 By elevating the main volume of the Sugiura Villa, the residents can enjoy an unparalleled view of the surroundings. The ground level is dedicated to the garage. Passers-by can’t see into the second level, so the villa is private while offering the residents a beautiful 180 degree panoramic view. The stairway up to the second floor is rich with angles and fascinating shadows while allowing the soft glow of the living area to seep down invitingly. 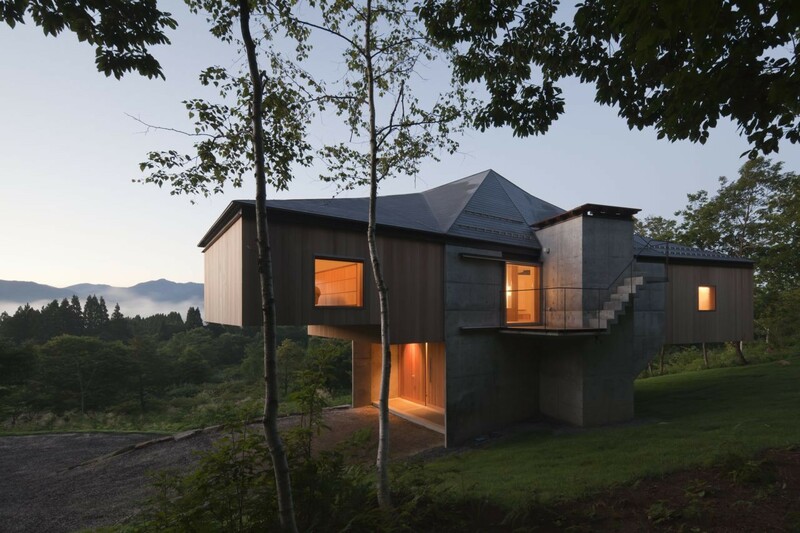 The small footprint of the concrete house makes the main part of the home appear to teeter on its central column. 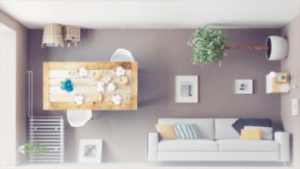 The second floor is one large volume consisting of a bedroom and public living area. The spaces are separated by the “wet area” facilities such as the bathroom and sinks. Sliding doors provide privacy for all of these areas. At the roof’s angular center, just above the small box that contains the bathroom, hides a tiny loft that holds tatami mats. 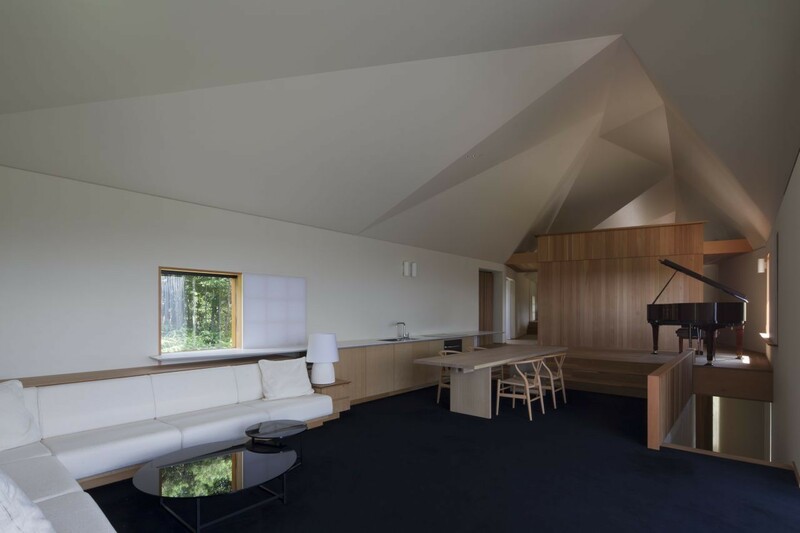 The upward-sloping roof makes the small loft appear much larger than it is while providing lovely acoustics. 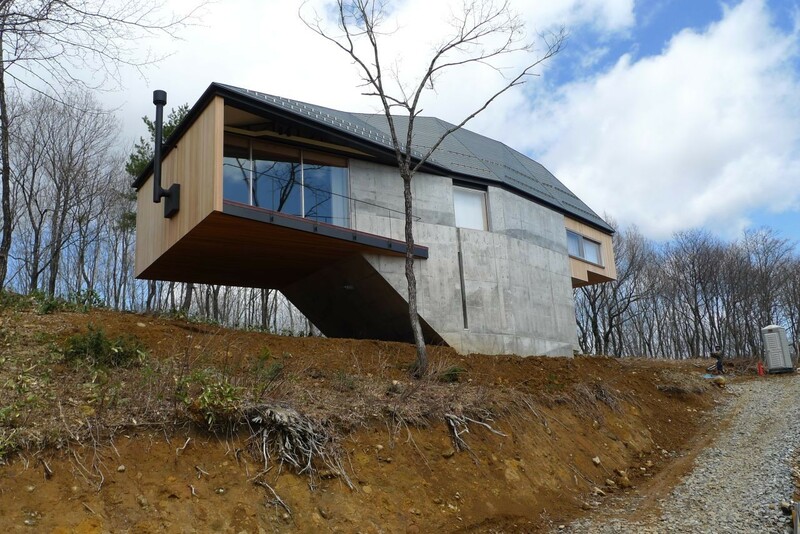 Since the cantilevered house is in an area where snow regularly accumulates up to nine feet deep, this is a perfect little home in which to hole up and watch the dramatic Japanese winter.